No Excuse, Just Produce. 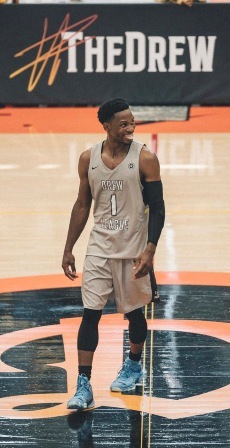 The motto of Los Angeles’ premiere summer pro-amateur basketball league, the Drew League, was in full effect during the first weekend of playoffs as the stakes to be crowned 2018 Drew League champion were on the line at L.A. Southwest College. Through three days of playoff action, the #1 (BB4L/Birdie’s Revenge) and #2 (LAUNFD/Problems) seeds in both division were eliminated from championship contention. “You can't underestimate the talent of players like Jordan McLaughlin,” commented Smarter. “You don't necessarily know who they are, they aren't necessarily big name players, but they're really out here to ball and that's what the Drew League is all about. “It's not really the results that we wanted, same as last year we're going out early to teams that we have no business going out to, but we can't do nothing but learn,” commented Los Angeles Clippers newly resigned center Montrezl Harrell, who finished with 17 points and eight rebounds for LAUNFD.